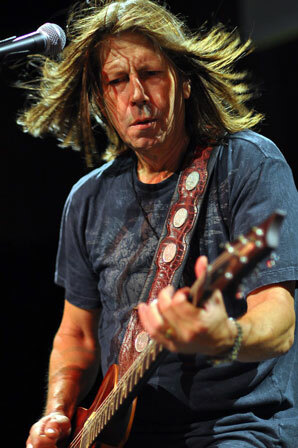 Patrick Henry «Pat» Travers (born April 12, 1954) is a Canadian rock guitarist, keyboardist and singer who began his recording career with Polydor Records in the mid-1970s. Pat Thrall, Nicko McBrain, Mick Dyche, Tommy Aldridge, Peter «Mars» Cowling, Barry Dunaway, Jerry Riggs, and Carmine Appice are some of the noted musicians who have been members of the Pat Travers Band through the years. Kirk Hammett of Metallica has cited him as one of his favorite guitar players. 1997 • Best of the Blues Plus Live!